This month, EDSITEment looks at the American Presidents, including their inaugural speeches; discusses the Bill of Rights; considers three giants of American literature—Herman Melville, John Steinbeck, and Mark Twain; and celebrates the life of Martin Luther King Jr. 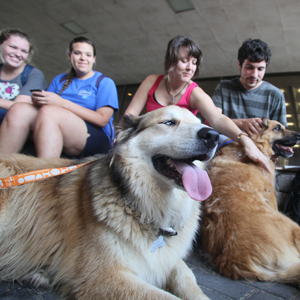 In the past few years, it seems that every academic cycle brings more news of universities using therapy dogs to ease the stress of students during finals week. 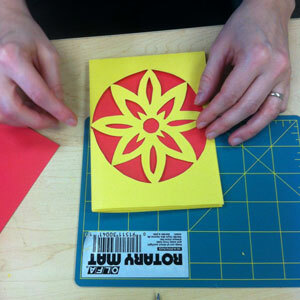 Arts ’n crafts have long been a staple library program, but are typically aimed at children. However, crafting for adults has recently re-emerged as a popular hobby. Image-based bookmarking site Pinterest helps users share ideas and inspire one another’s creativity. Editor’s note: Join us for another behind-the-scenes look at traveling exhibitions at the ALA Public Programs Office. Today, we find out how exhibitions get where they are going. 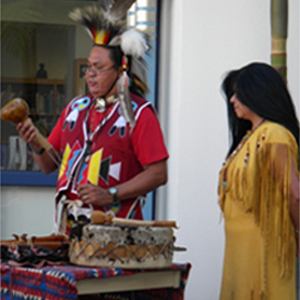 Previous interviews include Q&A with Dr.
Our Ancestors tell us that from the beginning of time, our people “ataaxam” have always occupied the San Luis Rey Valley, including the coastline, the neighboring lagoons, the oak forest, the lush meadows, the vernal springs, and the creeks and rivers to the north and south of the valley. Francis Feeley, school librarian at the Inter-American Magnet School, Chicago, and winner of the 2012 Sara Jaffarian Award, will present his winning model for humanities programming in the school library. The program, titled “Who Are We?,” challenged seventh- and eighth-grade students to explore the individual and collective behavior of human beings in the past and present in a series of quarterly research projects. This month, EDSITEment explores authenticity in Steinbeck’s The Grapes of Wrath; looks at what motivated Columbus’s travels; remembers the Cuban Missile Crisis on its fiftieth anniversary; offers new resources for AP English Literature and Composition; discusses voting in Jacksonian American as depicted in George Caleb Bingham’s The County Election; and discovers the roots of Halloween and the Day of the Dead. The classroom was filled with forty-five excited third graders. They were in place. The teachers were in place. The storyteller had arrived. But where were the guests of honor? And then twenty older adults entered, some walking briskly, some in wheelchairs, all of them smiling. The children’s “grandbuddies,” the guests of honor, had arrived. O’Hara Elementary School in suburban Pittsburgh participated in the “grandbuddies” program during the 2011–2012 school year, and this was the culmination of the program.